Our ongoing story starts with people from around the world, converging here at UMKC. 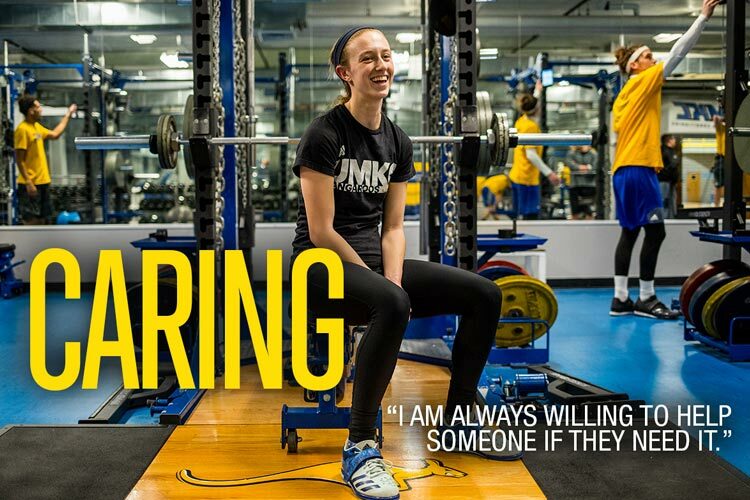 Get to know our people and you’ll know what UMKC is all about. Growing up, I came to Kansas City a lot to go visit my grandparents and attend Chiefs games. I knew I wanted to experience a different culture in a big city. You have a unique name. What's the story? Daiwa—it rhymes with Iowa! It means “sweet harmony” in Japanese. It’s also a brand of fishing reel my dad uses. What got you started competing in track and field? I got started in track just as something to do in between basketball and volleyball in the seventh grade. I usually played soccer, but decided to try something new. I loved it right away. I loved that it was individual but still had that team feel to it. My coaches through middle school and high school were a big reason I stuck with it. They all really pushed me. 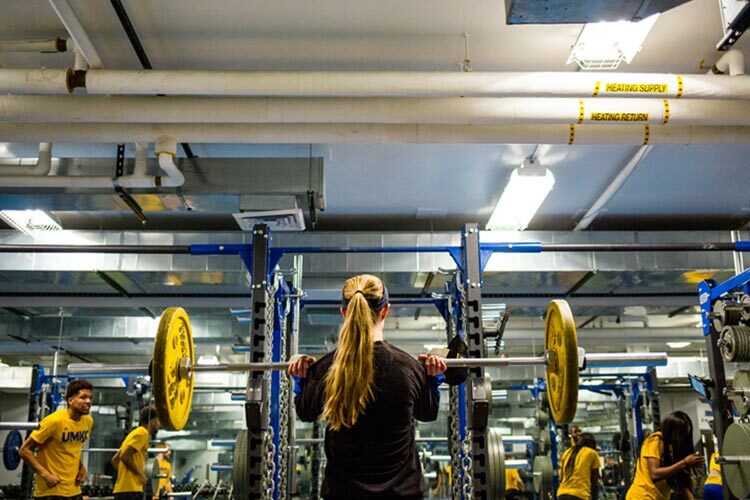 Strength training adds confidence. I know that what I do there will make me stronger mentally and physically. Practicing on the track does as well, but I know if I can push myself to lift as heavy as I can, I can use that strength to push me elsewhere. I have never been the strongest, and I never claim to be, but going through the last four years here have made me the strongest I’ve ever been. 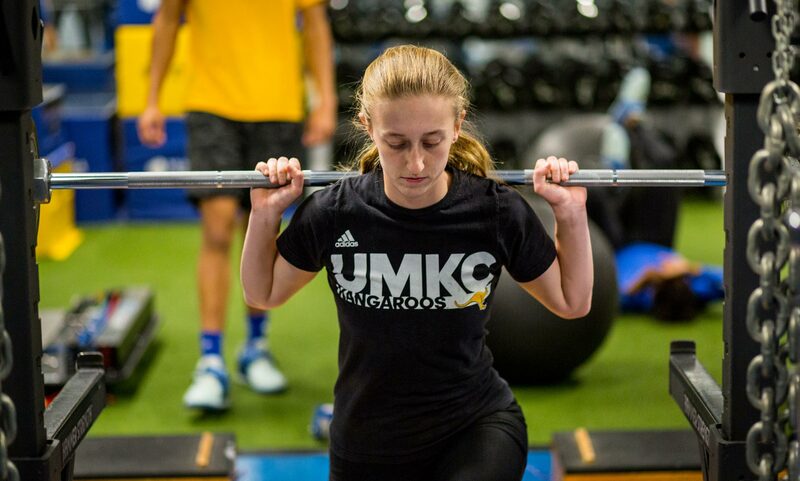 I’m forever grateful for the opportunity to be a part of UMKC’s track and field team. Success in athletics and academics seem to go hand in hand for you. Regardless of it being athletics or academics, you set goals and you push to achieve them. For athletics, it’s pushing your body as hard as you can towards achieving your goals and seeing hard work pay off. It’s doing what you love to the fullest. In academics, especially math for me personally, it’s studying something you love and pushing the mind. It’s about learning something new everyday and striving to make your impact in the community. Why did you choose math? I started at UMKC as a biology major, but after my first semester, I didn’t really feel like it fit. I was more drawn to the calculus class I was taking, but I still wanted to make an impact in the community. So, I ended up changing my field of study to a double major with math and secondary education. When you get to upper level mathematics, it is not going to focus on just the calculations; proving statements is just as important. It takes a long time to develop the skills needed to be able to logically explain a solution without flaws. The benefits are challenging myself and meeting people with the same love for math. My biggest goal is to have a family and become a high school or college teacher in math. 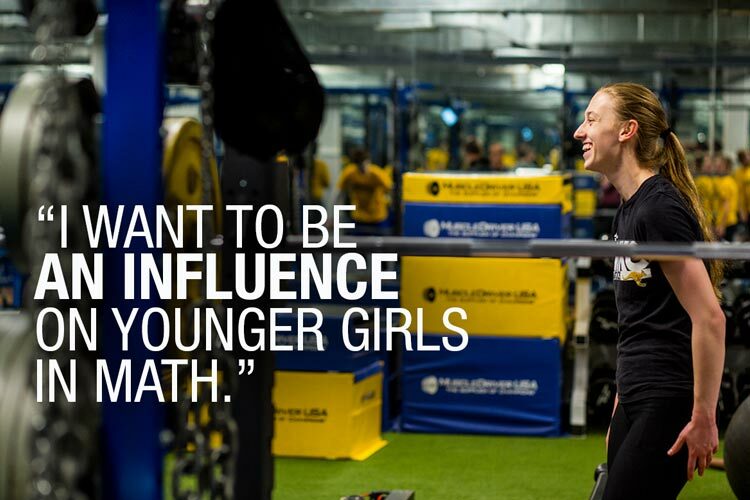 I just want to be an influence on younger girls — especially in math. I connect with math, the repetition connected with me. I’ve had teachers who were passionate about math and I want to have that kind of positive impact. Since entering college, I am a lot more outgoing and have been able to get out of my bubble. Relax, and don’t procrastinate. If you wait until the night before the exam to try and memorize all the proofs, it’s not going to work. 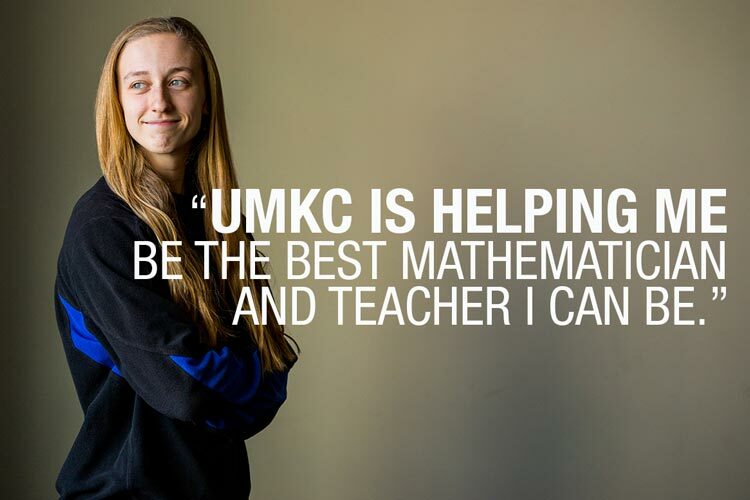 Who do you admire most at UMKC? I admire the faculty and staff that I have interacted with. They are so supportive and really express how much they care about my success. Clowns. They are definitely not invited to my birthday party. Caring. I am always willing to help someone if they need it.